Oiliness is often caused by a break in the moisture barrier with the skin then overcompensating for the lack of water balance by producing excess oil. This is then often caused by harsh products and ingredients known as surfactants that just strip the skin of all its goodness – Clearasil / Clean & Clear are two of the biggest offenders here… La Roche-Posay Effaclar H Foam Dermo-Soothing Deep Cleansing to the rescue! It’s such a lovely texture as it comes out as this abundance of thick, rich and stiff foam. It’s almost like shaving foam except a little softer and even though it might look good enough to use for shaving, I don’t think I’d recommend it. As the water hits the foam, it doesn’t loose it’s lustre. Whereas most foams seem to immediately disperse in water, this sticks around giving you time to work it into the skin. Afterwards skin left is feeling soft, well cleansed and calmed but not dry or stripped. The first and main feature ingredient of all La Roche-Posay products is the La Roche-Posay Thermal Mineral water; a water rich in essential minerals that has been proven to calm and relieve stressed, sensitive and irritated skin. The Effaclar formulation has then been designed to reduce excess oil on the skin without removing moisture and essential lipids whilst helping to protect sensitive skin. 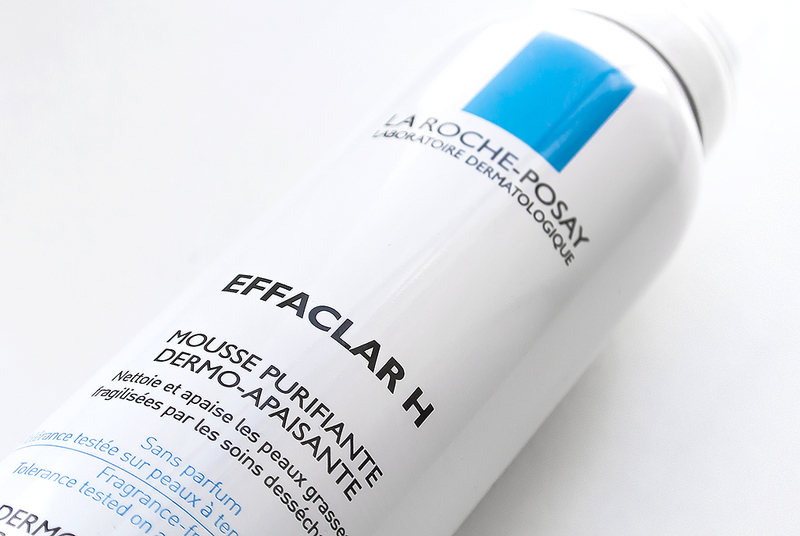 La Roche-Posay Effaclar H Foam Dermo-Soothing Deep Cleansing is a unique, novel and incredibly effective approach to cleansing and I’m really loving it; it’s available here for £7.60 from Escentual.com. This article first appeared on MANFACE written by Thom Watson. It was published on Wednesday 1st January 2014 and was last updated on Monday 3rd April 2017 at 3:15pm. It's categorised under Cleanse, Combination Skin, La Roche-Posay, Oily Skin where you'll find more related content.